Tee off on the Unbeatable Golf Getaway! This getaway is the best golf and lodging package deal of the season and is only available for a limited time! 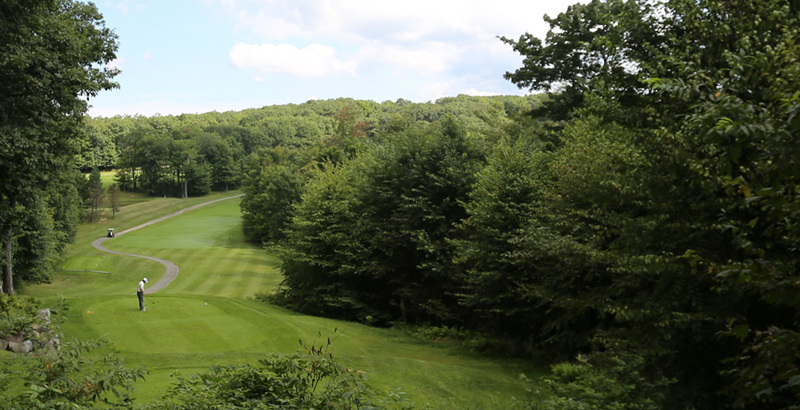 Seven Springs and Hidden Valley provide you with a unique golf experience at two of the most picturesque courses in the Laurel Highlands. With an unbeatable golf package that includes two rounds of golf, breakfast, a $20 dining credit, and more, you win no matter what the scorecard says! For more information or to make your reservations, please call 866-437-1300. Hotel rates are per person, based on double occupancy. All rates and packages are subject to state, local and county taxes. Price subject to change and availability. Blackout dates may apply. Tee time reservations are required. Cannot be combined with any other coupon, discount, special offer or contracted rate.